The belt! Isn’t it glorious? Normally, a champion needs to do battle with a full roster of muscled up wrestlers in order to claim it as your own. You’d have to grapple with John Cena. You’d have to put Daniel Bryan in a headlock. You might even need to show The Rock just what YOU’RE cooking. You might even need to body slam Brock Lesnar. So, it’s pretty tough! Well, now there’s a way to get your hands on that WWE Championship Belt. You don’t need to head to the gym for intense wrestling training. You don’t need to sign a shady contract with any of the McMahon family. 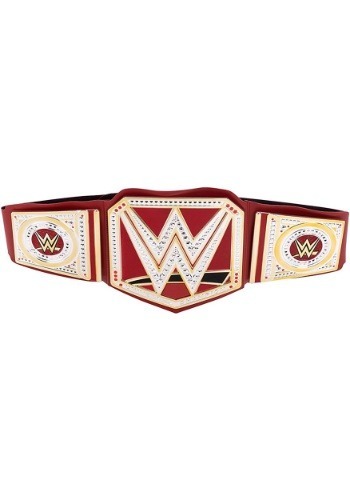 This WWE Universal Belt gives you or your child the championship without any strings attached. The officially licensed belt is made out of a faux leather material. It has an adjustable strap, so it fits plenty of different sizes and is intended for 8+. It has bright silver and gold plastic faceplates on the front and side, which make it look like the real championship belt. It has the WWE symbol on the front multiple times. Don’t waste time picking fights with John Cena to win yourself a belt! 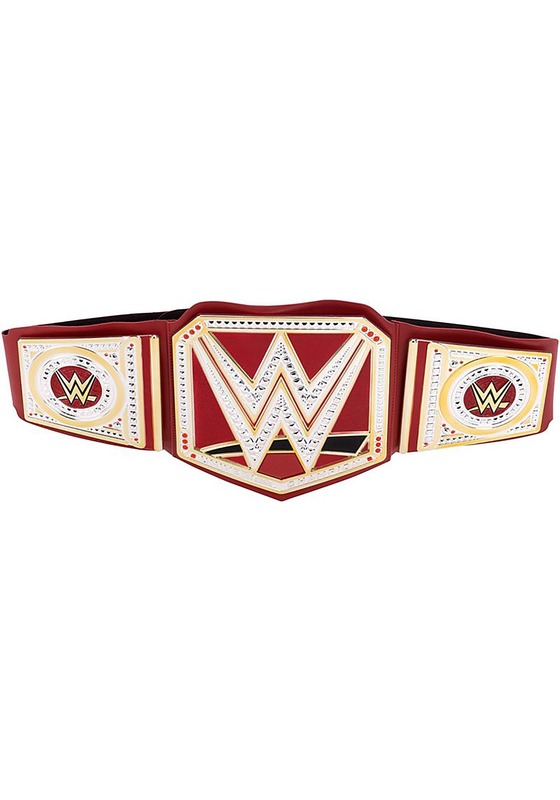 Just get this WWE Universal Championship Belt and become the champ right now!